When Is the Best Time of Year to Replace My Home Windows? Did you know that you can actually replace windows any time of year? Some people mistakenly believe that the task of installing windows can only take place in the summer. And while summer weather might be ideal for some people, sometimes your windows will need to be replaced during the colder winter months, too. Here is a basic breakdown of what it’s like to replace windows during different times of the year so you can pick the best time for your residential window installation. Installing your windows in the spring and summer seems to be ideal for most homeowners. 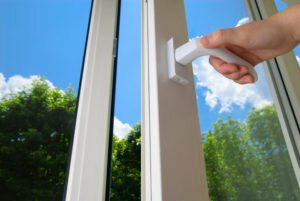 As long as it’s not too hot, installing windows in the spring or early summer prevents cold air from getting into your home during the installation process. One of the downfalls of installing new windows in the warmer months is that excessive heat can get into your home (bugs can too if your window contractors aren’t careful). Plus, window installers are usually busiest in the summertime, so you want to make sure you get your windows ordered in plenty of time so you aren’t waiting around for long. While the comfort of your home is important, that’s not the only reason to opt for warm weather window installation. If your window replacement company is using caulk to seal your new vinyl or aluminum windows, then the ideal temperature range is between 40 and 80 degrees. Caulk may not cure properly if the temperatures outside are above 80 degrees. Installing windows in the winter may sound like a nightmare to a lot of people. The caulk might not set well if it’s too cold, the moisture from snow or a fall rain can prevent a tight seal, and the cold air can get inside your home. While this is true, there are advantages to installing your new windows in the colder months. You don’t have to worry about heat or bugs getting into the house. Plus, window installers usually have more availability in the fall and winter. This will save you on time and energy costs. That being said, winter installation may require some extra preparation, which is why it’s important to work with an experienced residential window installation company. The two most popular materials for modern window frames, aluminum and vinyl, can expand slightly in warm weather. If the seal holding your windows in place is too tight, the materials could expand and crack in the summer heat to come. Likewise, your contractors may need to warm up the calk prior to installation to ensure a proper cure. What’s the best time of year for window installation? 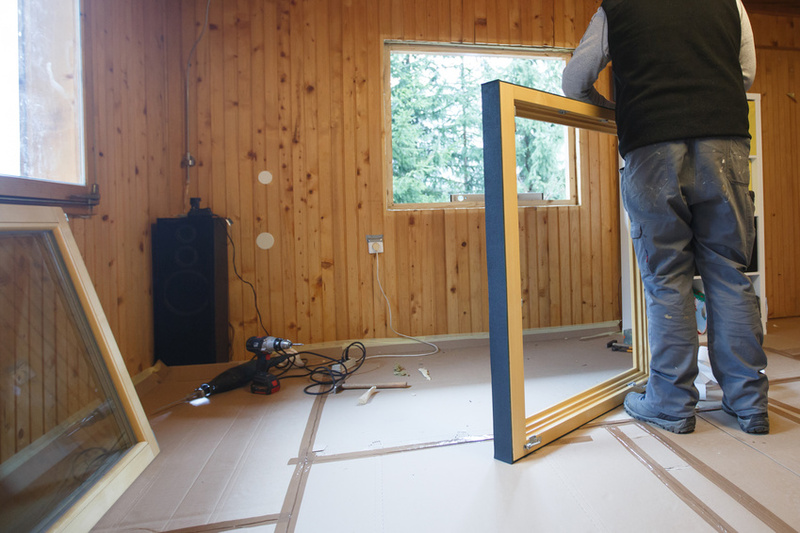 There really is no time that is better than another when it comes to installing new windows. It all depends on what is best for you and your home. If you have an emergency window break and you need it replaced tomorrow, it’s going to need to be done even if it’s the middle of winter. Everyone has preferences, and if you have a choice, you can go with your own convenience. Old and drafty windows that let air escape can increase your energy bills by 10% to 25%, so don’t wait too long to contact local window contractors. No matter the time of year, installing new windows can help you save on your energy bills, and they can help increase the value of your home, too. Looking for experienced and reliable window installation contractors in Chicago? Contact Best Windows Inc. to replace your home’s windows — no matter the time of year! There’s no denying the benefits that come with replacing outdated windows and doors: According to the National Association of Home Builders 2012 Remodeling Market Index, 44% of renovation jobs that year were involved window or door replacement. But what many homeowners may not be aware of is that getting this job done prior to the start of winter may be one of the best times of the year to invest. Here are just a few compelling reasons to consider contacting window installation companies for new windows prior to the start of winter. It should come as no surprise that replacing outdated single pane windows with dual pane windows is much more efficient in terms of energy and heat insulation, which makes an even bigger difference during the winter months. 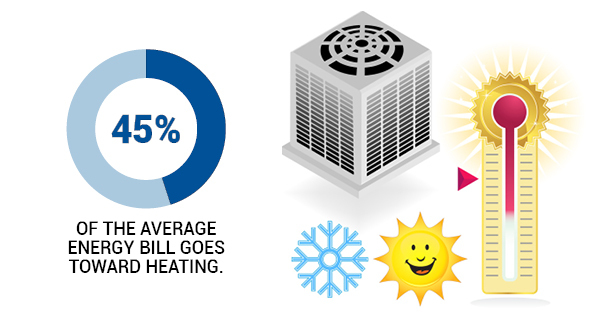 According to the Department of Energy, 45% of the average energy bill goes toward heating, but the right windows can reduce this percentage by keeping heat in for longer. This isn’t just speculation, it’s fact: Dual-paned windows are about two times as effective at retaining heat and air conditioning compared to single-paned ones. In general, you’ll save up to 15% a year on your energy bill if older double-pane windows in a 2,600-square-foot house are replaced with energy-efficient windows with low-E coatings, according to the Efficient Windows Collaborative, a coalition of government agencies, research organizations, and manufacturers that promotes efficient window technology. However, many homeowners don’t fully understand the tax credit possibilities that come with eco-friendly investments like new home windows. Tax credits vary depending on a number of factors, but in order for you to be eligible to claim the credit for the current tax year, you have to make sure they’re installed in time. There’s no denying that winter weather can bring with it some seriously dangerous conditions, from blizzards to hailstorms and more. Old windows are more susceptible to damage in the event of a windstorm or other serious winter weather-related event. The glass becomes increasingly brittle and cold, and getting them replaced will keep your family safe and comfortable all winter long. Ultimately, there’s no bad time to get your windows replaced, but understanding the benefits of hiring window installation companies prior to the start of winter can help you make the best decisions for your home. Energy Star Tax Credits: Which Home Improvement Projects Qualify? Taxpayers who upgrade their homes to improve energy efficiency may be eligible for tax credits to offset the costs for those upgrades. Here is a basic guide of which home improvement projects qualify for the energy star tax credits. Solar panels, or photovoltaics, for generating electricity. The electricity must be used in the home. Wind turbines that generate up to 100 kilowatts of electricity for residential use. This credit is worth a maximum of $500 for all years combined, from 2006 to the present. Of that combined $500 limit, a maximum of $200 can be for replacement windows. The maximum tax credit for a furnace circulating fan is $50. The maximum credit for a furnace or boiler is $150. The maximum credit for any other single residential energy property cost is $300. Replacing different features of your home can be costly at first, but it really pays off in the long run. This is especially true for new windows. When you replace your old windows with new ones, your energy bills will likely decrease a lot, saving you money every month. Then, you get to claim Energy Star tax credits on your income tax return for replacing your windows, giving you a higher return. Finally, homeowners can see up to 80% of their investment back when they replace their windows, according to the National Association of Realtors. So, you really win in many different areas just from replacing your old windows.